Kids will have fun making crazy faces as this fun, out-of-the-box kids activities. Your kids will have a great time with this super creative Crazy Faces Kids Activities from Picklebums. 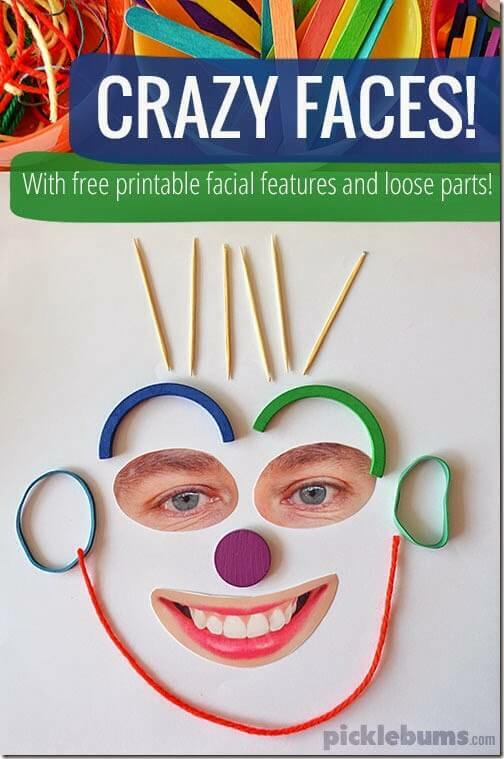 It even includes printable facial features to get you started.